The Best Web Hosting for your site! No matter what you want to host, we are here to help you find the best web hosting services for your needs. We have run the tests and compared the UK’s leading website hosts, so you don’t have to. From cloud hosting to specialist WordPress services, you have come to the right place for advice and recommendations. Below you will find our results for the best hosting providers for UK websites, based on up-to-date reviews and analysis of over 100 website providers. Below are a few tips that will help you find the best deal for your needs. Understand the pricing: Unfortunately, some website hosting providers offer a cheap introductory rate, but the prices drastically increase after the initial contract. Be sure to check what the prices are after the introductory offer has ended. Choose a trusted web host: For the best support and performance, it is important to ensure you choose a reputable website host that has their own servers and customer services, such as those detailed below. Prices generally reflect quality: Anyone who has been looking at hosting would be aware of the diverse range of prices, from £1.99 through to several thousand per month. Hobby sites can function well on the cheaper web hosting platforms, but business websites should consider the superior and costlier hosting options. Consider a Web Development Platform: Websites, such as Wix.com, make it easy for anyone to build a website with their drop and drag feature. 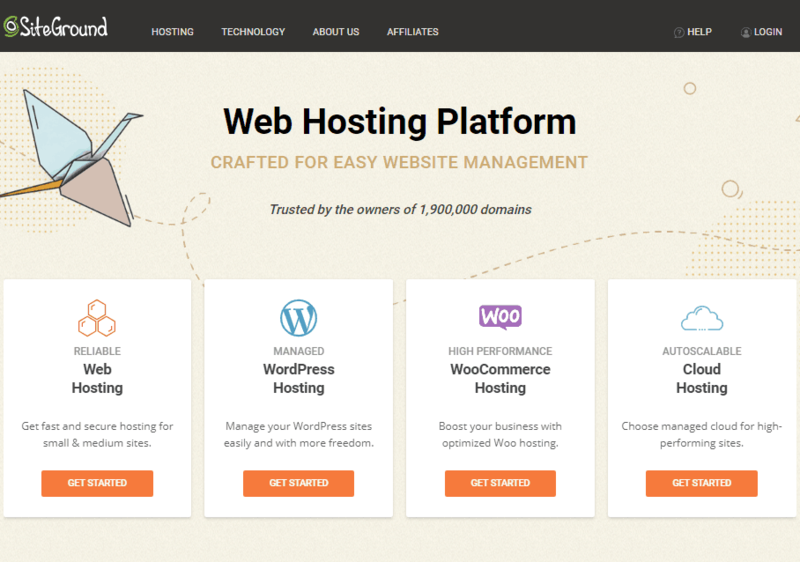 Hosting is provided as part of the platform, and they even have free website options. The best website hosting company in the UK is SiteGround. Providing reliable servers, knowledgeable customer support and a wide range of products to suit any level of website owner, SiteGround is a worthy winner of our number 1 spot. We like them that much, we host Assistall.co.uk with them! 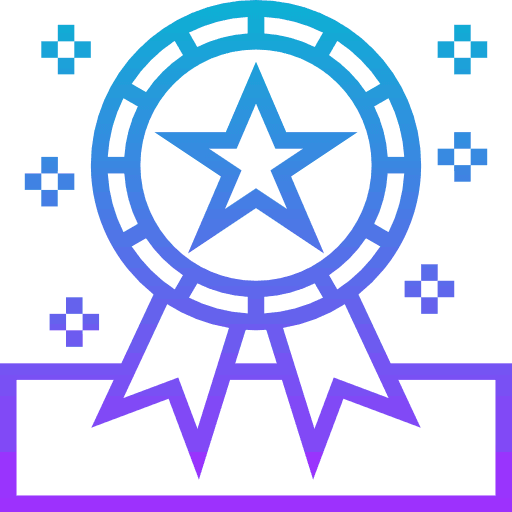 The dedicated WordPress hosting of WP Engine takes second place. With exceptional speed, up time and customer service, they are a fantastic choice for anyone hosting a WordPress website. However, WP Engine are a specialist WordPress host, so other platforms (such as Joomla & Drupal) aren’t available. Siteground – Exceptional speed & support, with UK based servers. WP Engine – The perfect choice for WordPress hosted websites. 1&1 IONOS – Affordable hosting plans and reliable speeds. 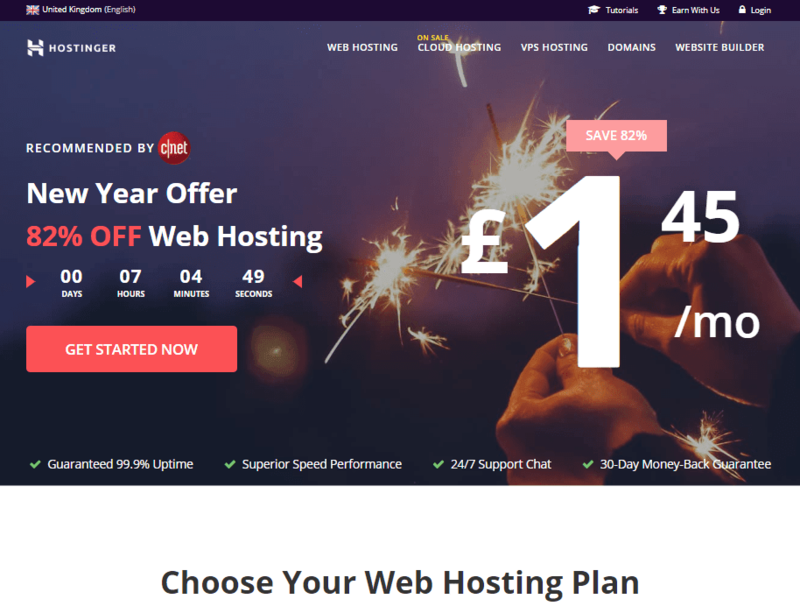 tsoHost – One of the UK’s leading website hosts. InMotion Hosting – Fast and reliable hosting services. 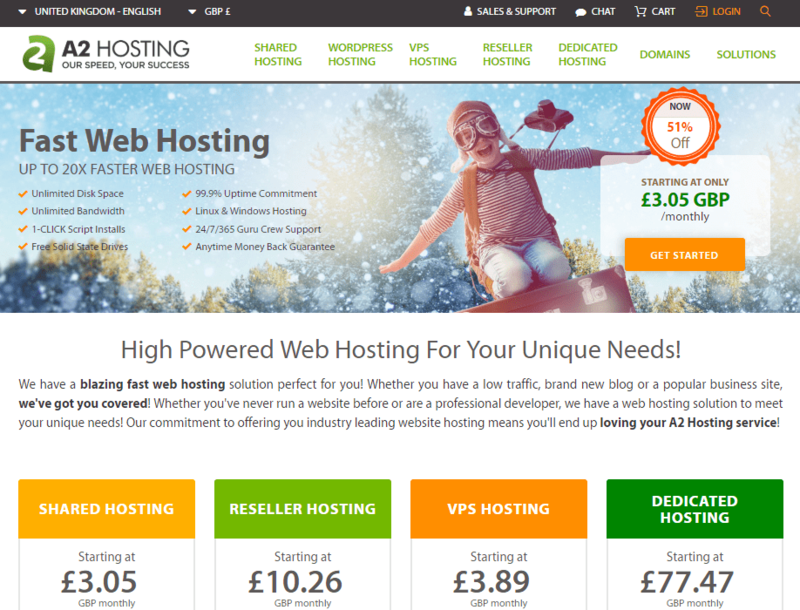 Hostinger – Cheap introductory prices and great load speeds. A2 Hosting – Offer great value Virtual Private Server plans. GoDaddy – One of the biggest names in web hosting & domains. 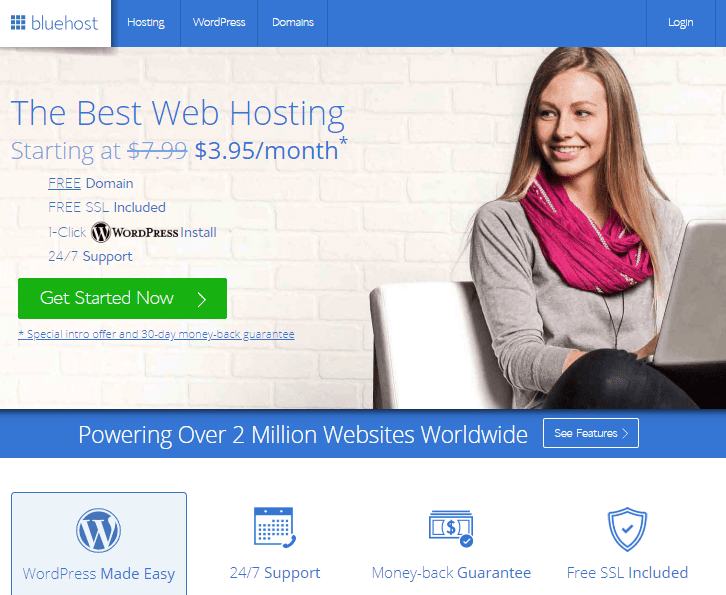 HostGator – Affordable website host, with unlimited plans. Bluehost – User friendly and specialist WP hosting plans. 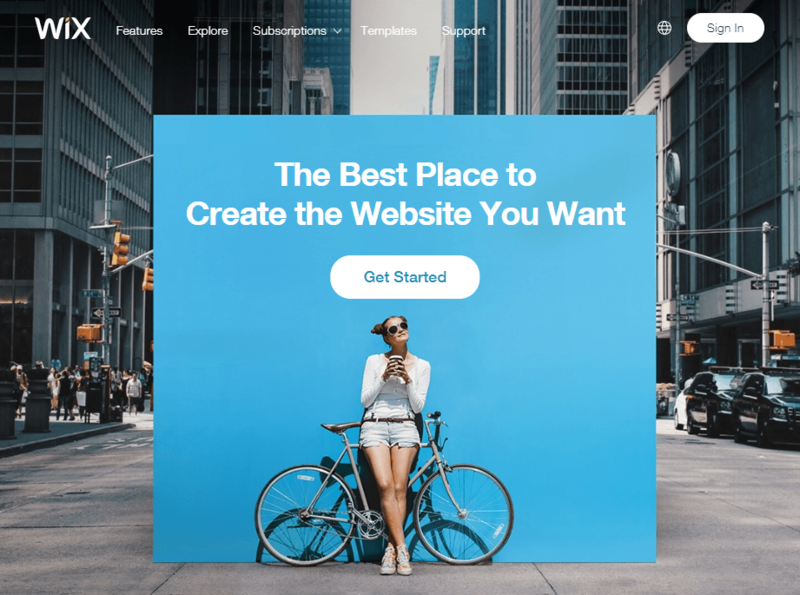 Wix – Simple website builders for great looking sites in a few clicks. DreamHost – Cheap plans that include 100% up time. 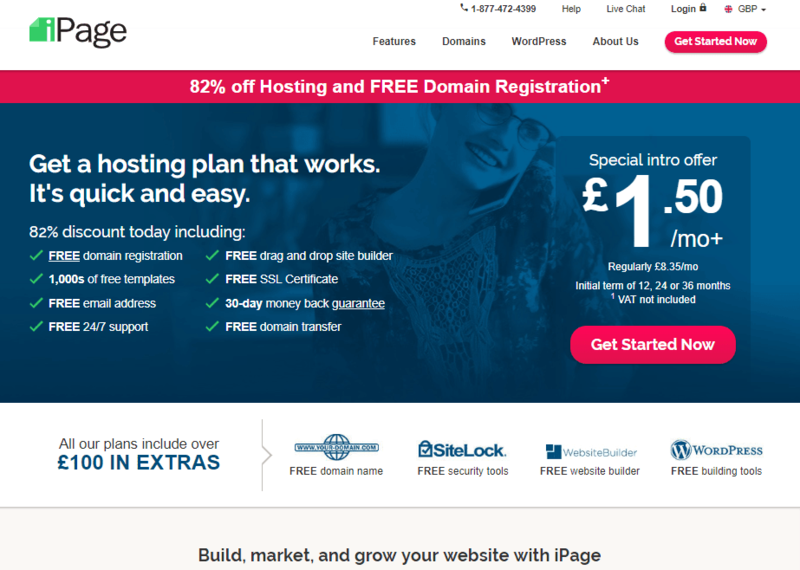 iPage – Cheap starter plans & a free domain name. 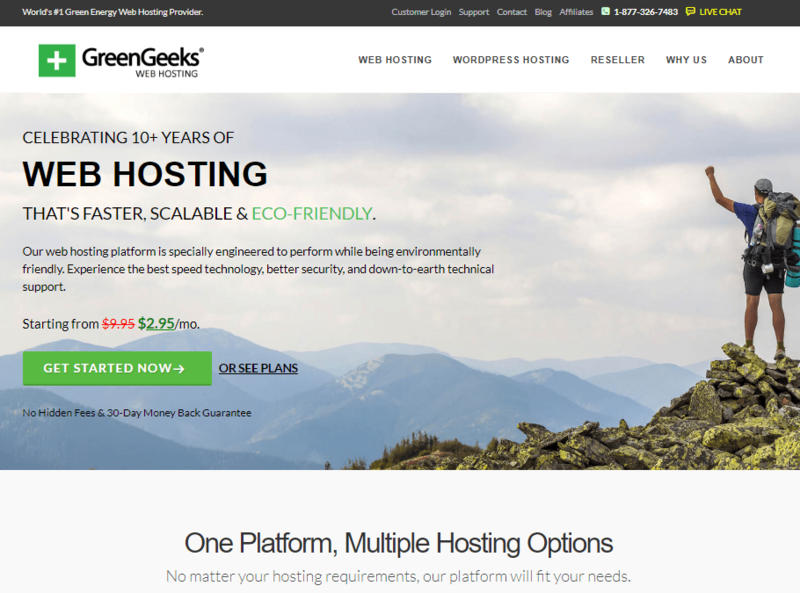 GreenGeeks – The world’s leading eco-friendly website hosting! Let’s jump into a more detailed overview of the leading web hosting providers in the UK. If you are looking for a reliable, trusted and fast web host in the UK, look no further than SiteGround. 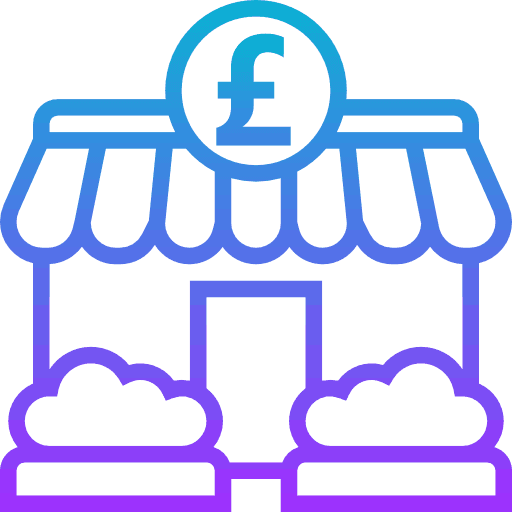 They have established themselves as the market leaders for both shared hosting and cloud hosting services for UK websites. With servers based in the UK, free SSL certificates, super-fast SSD technology and daily backups of your website, SiteGround is the perfect choice for any website owner, whether a hobbyist or a professional developer. Plans also include all of the most popular website applications, including WordPress, Drupal, Joomla and Magento. SiteGround makes it easy to scale up your resources as your website and business grows. There is a convenient auto-scale feature, which allows you to preset your metrics and preferences to deal with spikes in traffic to your site, ensuring you will always capture the sale. For amazing web hosting and passionate tech support, look no further than SiteGround.co.uk. You may immediately notice the high price of WP Engine, and whilst they aren’t the cheapest web hosting service available in the UK, they are regarded as one of the best WordPress hosting providers. Around 30% of all websites use WordPress, and those who want speed, reliability and security will often choose WP Engine. WP Engine harnesses the power or Google and Amazon to deliver some of the fastest speeds on the web. They also provide a free content delivery network (CDN) and SSL certificates, ensuring your site is secure and scalable. 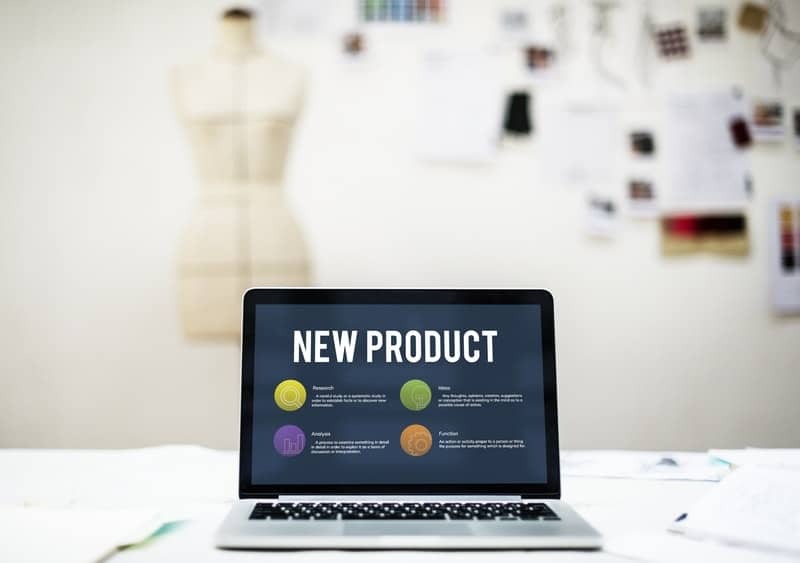 Websites that target an international audience will love the GeoTarget feature, which allows a website owner to display tailored information relevant to the location of their viewers. Your hard work will also be kept safe, with daily back ups providing peace of mind. 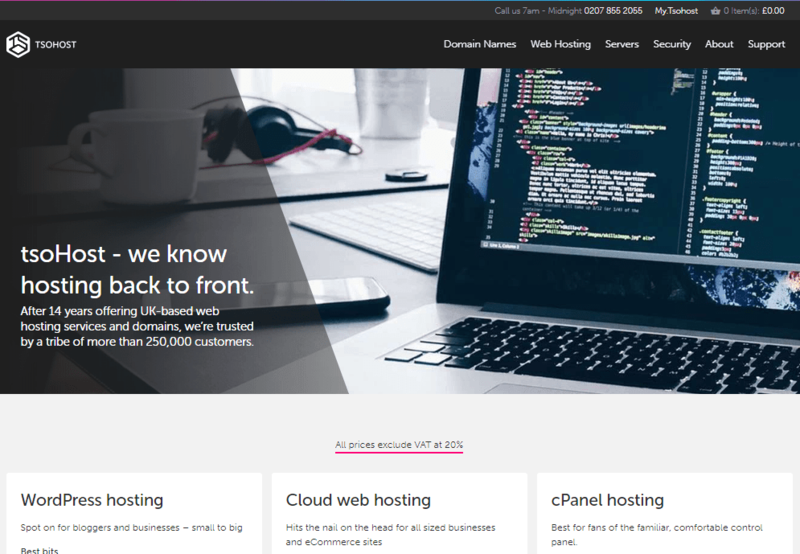 If you are looking for scalable and secure hosting for your WordPress website, look no further than WPEngine.co.uk. 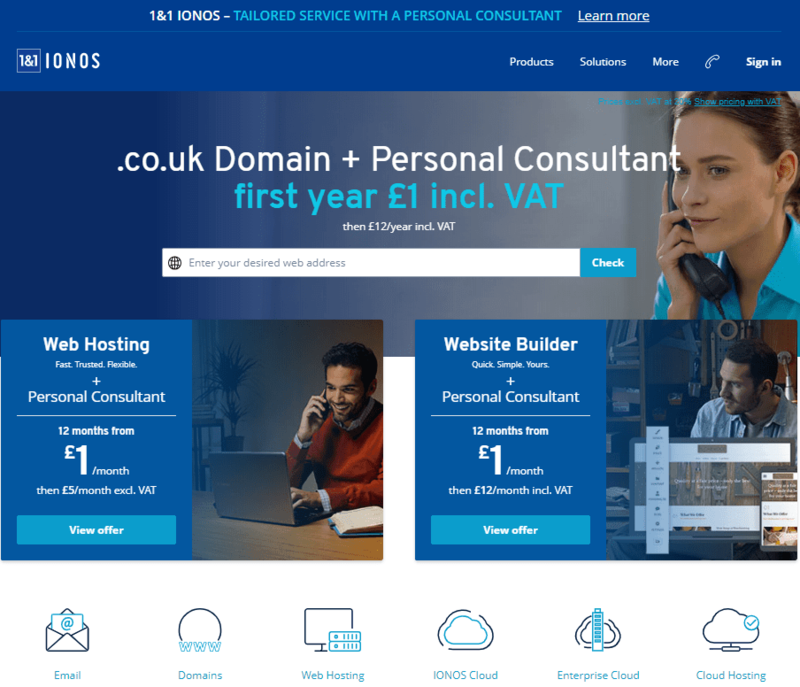 1&1 IONOS provide some of the best website hosting packages, with affordable prices and fast speeds. They are one of the largest hosting providers, with 10 data centres and almost 100,000 servers. If you choose IONOS, you can rest assured that you will receive impressive website up time. Website data is mirrored across 2 data centres, ensuring your website is available whenever customers visit. If you are looking for a cheap web hosting plan, IONOS could be the perfect choice for you. They regularly have introductory offers, with prices from as little as £1/mo. However, it is important to check the prices after the introductory deal has run out, as there may be more affordable plans available. For great up time, secure hosting and scalable cloud options, be sure to take a look at the hosting available at IONOS.co.uk. When you choose tsohost, you will also benefit from the expertise of Vidahost, after the two companies recently merged. tsoHost is one of the UK’s leading hosting providers. They offer straightforward hosting plans and affordable pricing for their cloud hosting. They have a great technical team who will promptly assist with a wide range of problems, whether it be an account problem or you require some technical help. tsoHost has a user-friendly interface, which makes setting up your website quick and easy. In terms of security, tsoHost use advanced firewalls, and their UK-based data centres are built to provide the highest level of protection. You will also benefit from free daily back-ups, which are kept for an impressive 30-days. If you run a UK registered charity, you will love to hear that tsoHost will provide free website hosting plans. For reliable, trusted and affordable UK cloud website hosting, look no further than tsoHost.com. With cheap hosting plans and a proven track record, InMotion Hosting are a fantastic choice, especially if you have a smaller budget. Whilst they offer affordable web hosting, the plans do include lots of good stuff. When you host with InMotion, you will receive fast speeds thanks to the SSD technology and specially built data centres. Your site will be kept safe, with daily backups and the inclusion of hack & malware protection. One of the stand out highlights of InMotion Hosting is their very generous 90-day money back guarantee. This allows you to trial their services and find out if they are the right host for your needs, risk free! If you are looking for an affordable and established website hosting provider, InMotionHosting.com could be the right choice for you. If you are looking for fast load times and cheap plans, Hostinger may be the perfect solution for hosting your website. Their packages start from an almost unbeatable £1.45/month plus VAT. When it comes to numbers, Hostinger have some very impressive stats. With over 10,000 new clients signing up every day and over 29 million clients so far, you will be in good company. Unlike most other leading web hosting providers in the UK, Hostinger does no longer provide free SSL certificates. They do however have a cheap SSL certificate, which costs £7.95 and lasts the lifetime of your hosting. If you need fast hosting at a budget price, make sure you head over to Hostinger.co.uk. A2 Hosting provides some of the fastest shared hosting speeds, which you can receive for as little as £3.05 (plus VAT). However, be mindful that this is the introductory rate and when it comes time to renew, the price will jump up to £6.42. The pricing of virtual private server (VPS) plans are very budget friendly, especially compared with many other leading web hosts. A2 Hosting plans also come equipped with unlimited disc space & bandwidth. Another perk of choosing A2 Hosting is the impressive anytime money-back guarantee. If you decide A2 Hosting isn’t for you, cancel within 30 days for a full refund, or cancel anytime after that for a prorated refund of any unused service. If you are after the best web hosting speeds for a budget price tag, head over to A2Hosting.co.uk. When most people think of GoDaddy, they think of domain name registration, but GoDaddy has also established themselves as a worthy web host provider. GoDaddy Hosting has some of the easiest website building tools around, so if you are a novice they are a fantastic choice. 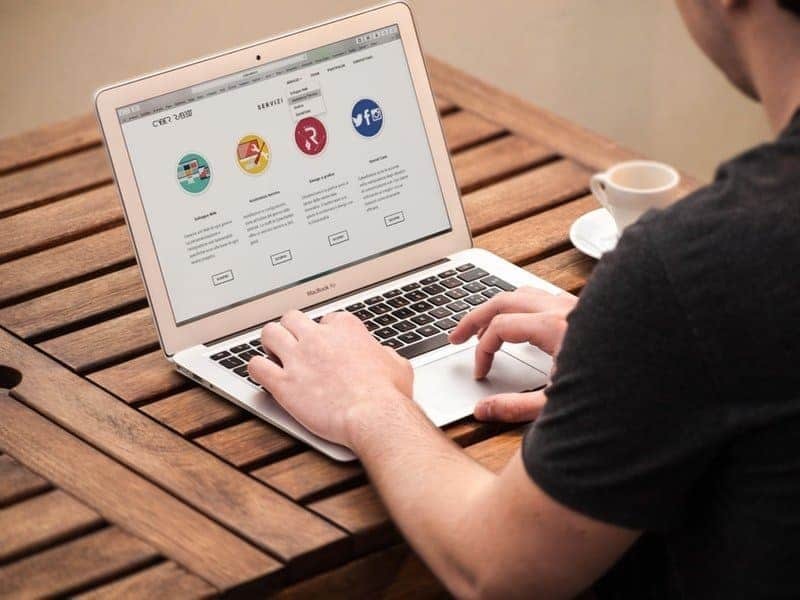 Not only are the website building tools perfect for making great-looking websites in a matter of minutes, but as many consumers purchase their domains from GoDaddy, you also benefit of having all your website bits in one convenient location. It is important to be aware that GoDaddy Hosting regularly uses an introductory pricing model, whereby users can sign up for a discounted rate, but then pay the full rate once their service renews. Also, different plans have differing inclusions and the more basic plans do not include a free SSL certificate and UK based servers aren’t available. For convenience, user-friendly website builders and fast load times, it is worth taking a look at GoDaddy.co.uk. 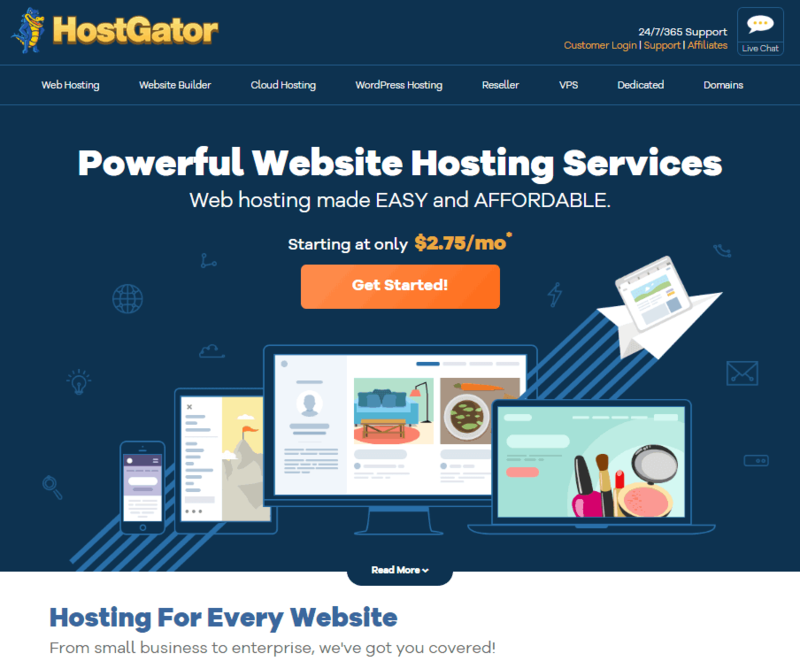 If you are on a tight budget, but still need a host that offers plenty of bandwidth and disc space, then HostGator may be for you. They have great value introductory rates from as little as $2.64 (USD), and you will also have 45-days to decide if they are the right host for you thanks to the HostGator money-back guarantee. This hosting benefits from the popular cPanel based website management system and your site will remain visible throughout the year with 99.9% up time. HostGator packages also include $200 of Google and Bing advertising credit, which will help get your new website off the ground. One drawback of HostGator is that they do not have any UK based servers, however this can be overcome with the help of a content delivery network (CDN). 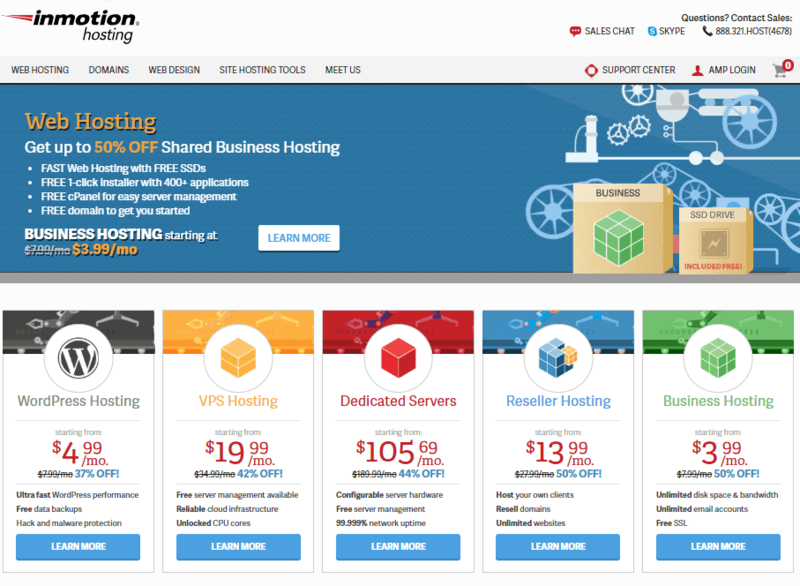 If you are looking for affordable hosting from a long established provider, make your way over to HostGator.com. Bluehost is a popular choice for many website owners, and it currently powers over 2 million websites worldwide. They are the number 1 recommended WordPress hosting provider on WordPress.org, and are a cheaper alternative to WP Engine. The prices listed above are the introductory rates for the first term of your contract. As such, it is a good idea to check the regular price of each plan, as this is what you will be paying when it comes time to renew. Whilst the most basic shared hosting package does have a few restrictions on the amount of storage and bandwidth you receive, the Bluehost Plus plan ($5.95 USD) and subsequent packages do offer unlimited websites and unmetered storage & bandwidth. If you are looking for a cheap and reliable web hosting provider, especially for a WordPress website, look no further than Bluehost.com. Wix quickly rose in popularity due to the ease at which first time website owners could create stunning website. Unlike the other website hosts listed above, Wix.com is a website builder and hosting provider rolled in to one convenient package. The prices are reasonable when factoring in the inclusion of their highly awarded website builder and templates. Wix is one of the most user-friendly options on this list, but they also allow website owners great depth in customising the look, function and content on a website. 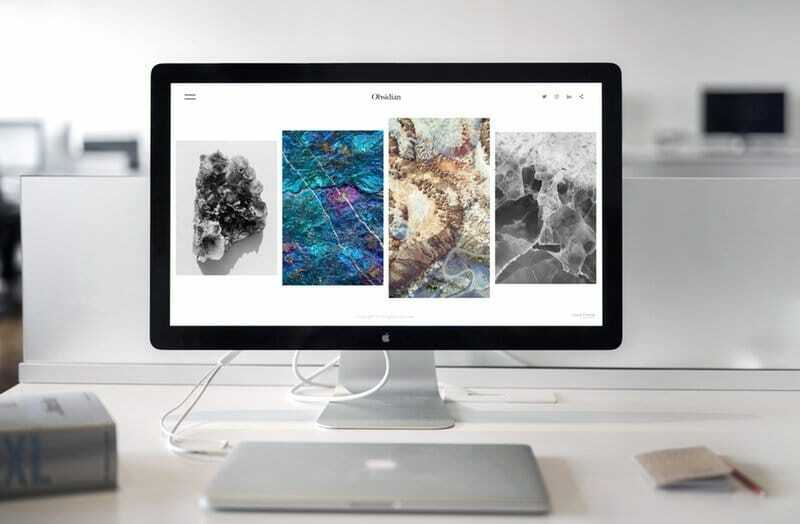 Another bonus is the Wix makes it easy to create an e-commerce website thanks to their abundance of templates and powerful backend. You can also edit images after uploading with the range of Instagram-style filters. If you are looking for a free plan, Wix can help! Although, it is important to be aware that there are some restrictions, including bandwidth and storage. Whilst there are loads of features, Wix does lack the same inclusions of a normal host, such as the ability to host multiple domains or subdomains on the same platform. For a fast and cheap website built on one of the best website builders available, look no further than Wix.com. DreamHost offers a wide range of plans and packages to suit everyone from hobbyists right through to web developers. They are ideal for high traffic websites thanks to the unlimited bandwidth included with their plans. They are one of the specialist WordPress hosting providers recommended by WordPress.org. This makes them a great alternative to WP Engine if you only have a low budget or don’t need to the added features. Very few web hosts offer a 100% up time guarantee, but DreamHost do! This helps ensure that your customers can always visit and will build trust with search engines. 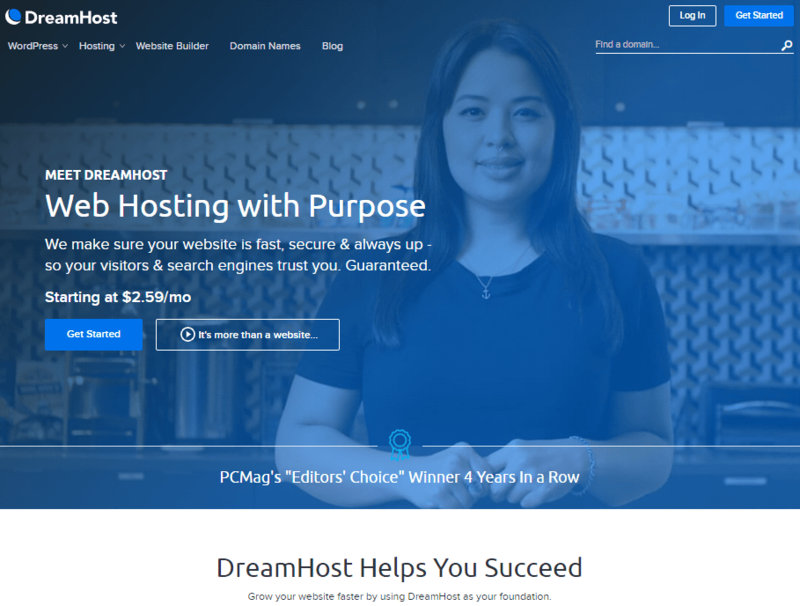 For affordable web hosting, with great hosted WordPress services, be sure to take a look at DreamHost.com. One of the highlights of choosing iPage, at least initially, is the affordable pricing, which starts from as little as £1.50 per month. It is important to understand that when your contract renews, you will no longer receive the 82% discount and the pricing for the basic plan will jump up to £8.35 per month. iPage has loads of great inclusions that you would expect from a leading website hosting company. Some of the main highlights include a free domain registration, reliable support that is available whenever you need it and lots of options to scale up your hosting as your site grows. If you are looking for a website host with affordable introductory pricing and a money-back guarantee, iPage.com may be the right host for you. Save 82% off your iPage web hosting here. It would be hard to create a list of the best web hosting in the UK and not include GreenGeeks. Whilst smaller than many of the other hosting providers, they are leading the way for environmentally-friendly websites and apps. There are indications that by 2020, the web hosting industry may produce more environmental pollution than the airline industry. GreenGeeks are working to change this with their positive energy web services. Pricing for basic plans are very reasonable, and every plan comes packed with all the necessities, plus more. A few of the bonus inclusions you receive when signing up to a GreenGeek plan include Cloudflare CDN, daily backups and a free domain name. If you want a environmentally conscious web host that offers plenty of features, head over to GreenGeeks.com. 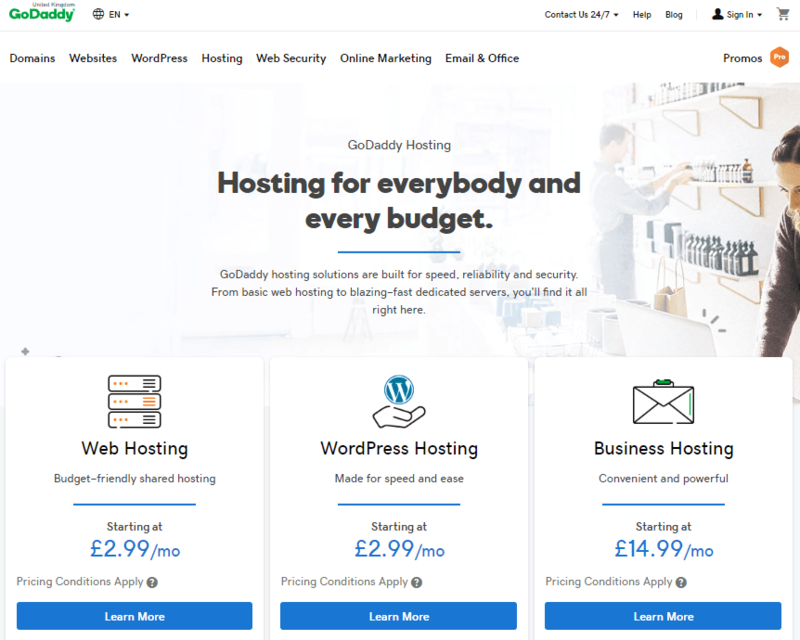 Overview: Who is the UK’s Best Web Hosting Provider of 2019? We hope you found our detailed guide to the leading website hosts for UK websites. Below is a quick overview of who you should strongly consider, if starting a new website or migrating to a new host. Below we have some more information about the different types of web hosting available in the UK, and also some advice to help you choose the right hosting provider for your needs. Assistall is not only here to help you find a great web host for your website, but we also raise money for good causes. If you like our advice and click through to a web host provider, we may receive a small referral commission, which allows us to donate much needed funds to good causes. There is no cost to you, and no obligation to proceed. The task of choosing a reliable, fast, affordable and scalable web hosting provider can seem like a daunting take, especially with so much choice. We are here to help you find the best provider for your needs, whether you are looking for a host who can handle high traffic spikes for your growing business website or a hobbyist wanting a cheap web hosting plan that is secure and easy to use. Shared hosting is typically the cheapest way to host a website. With this type of account, a user shares a server with other users and websites. Shared hosting is best suited to smaller websites that do not require many resources or bandwidth. Virtual Private Servers (VPS) or Cloud Servers are a mid-ranged option, both in terms of cost and features. Cloud hosting provides a greater level of speed and ensures your website can be quickly scaled as it grows. Rather than using just one server, a Virtual Private Server draws on the power of multiple servers, allowing your website to quickly adapt it’s memory, processors and storage based on real-time requirements. Dedicated servers are for high-performance websites. Dedicated server plans offer high speeds and a greater depth of customisation, but they do also cost more than other servers and you will also be responsible for their maintenance. Whilst looking for your new web host, you may have also come across WordPress Hosting. With WordPress leading the way as the most popular content management system, it is no surprise there are a range of hosts now providing specialist WordPress hosting services. These services are optimised for the needs of WordPress websites, and can be a great option if that you plan to build a WordPress website. What makes a great web host? There are a number of factors that should be considered when choosing a hosting provider for your new website, but the leading factors are typically the load speed times, customer service, prices and up time. Below we will explore each of these categories in more detail. The speed that a website loads has become one of the most important factors in converting traffic into sales. Research has shown that slow websites start to lose visitors after just a few seconds of slow loading. And then there is the fact that speed is among one of Google’s leading ranking factors. The website hosting providers above all excel in ensuring your website will load quickly, but the leaders in this area are definitely Siteground (who have developed their own plugin to optimise speed and performance) and WP Engine (who have an entire platform dedicated to speed and performance). 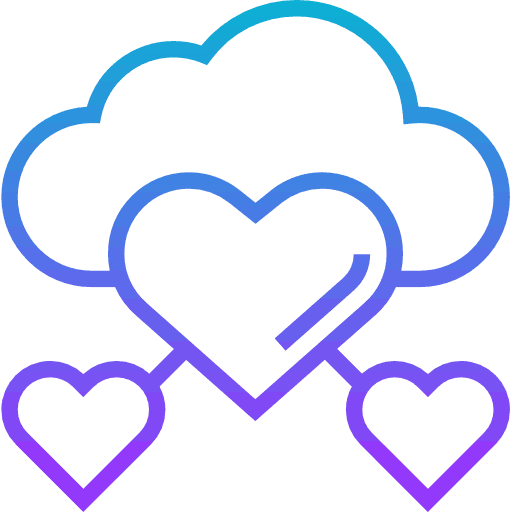 For the fastest website hosting you will want to consider cloud hosting, which utilises the power of multiple servers to maximise your websites loading times. Most of the hosting providers listed above provide cloud hosting plans. Having a server located near to your customers can improve your sites load speeds. As this article is primarily aimed at UK website owners, we have listed whether each of the providers has servers located within the UK. You can also use a content delivery network (CDN) if you choose a host that doesn’t have UK servers. If you are new to world of websites (or at least not a professional web developer) it is likely you will need a hand from time to time. Having a knowledgeable and friendly customer service team that you can rely on at any time day or night is a must. We have highlighted the availability of each of the hosting providers above. Once again, Siteground excels at providing an industry leading level of customer service. They invest heavily in providing informed customer service agents that can help sort out your problems. Many of the other providers on our list also deliver a fantastic customer service experience. We recommend choosing a host that offers live chat and 24/7 support, as this will ensure you receive instant help. Pricing is one of the most important considerations when choosing a host. The pricing needs to fit within your budget, and the type of website you plan to launch can influence your spending. For example, personal blog may need fewer resources so a cheaper plan may be best, however, a business website will need excellent speed and security, so a premium cloud based hosting plan may be the better option. We have listed the prices for different levels of hosting above. You may notice that many providers offer introductory prices, so be sure to check the regular price of your chosen plan, as this is what you will be charged when your plan renews. 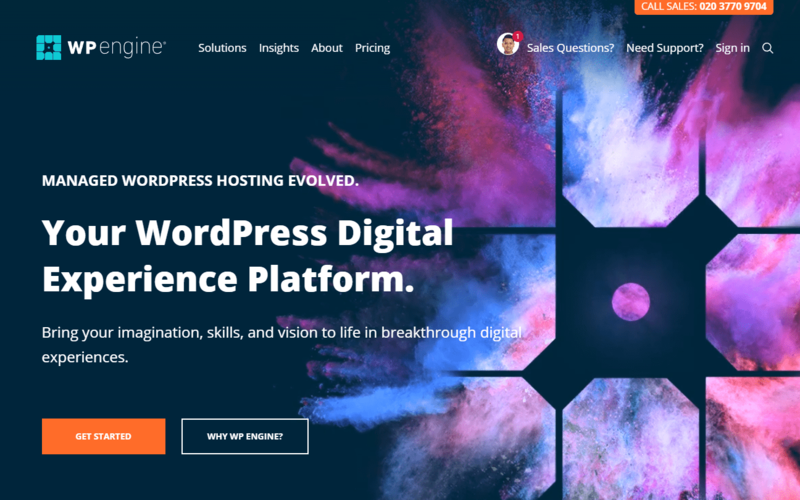 WP Engine is one of the more expensive options on our list, but it is important to consider that they provide a high quality hosting platform that has been specially built for WordPress. It also includes plenty of extras, ranging from security to speed. Up time refers to the time that your servers are available and loading correctly. It is normal for hosts to perform work on servers from time to time, but most hosts will provide an up time of 99.9%. Improvements in server technology and website mirroring now means some hosts offer 100% up time, which helps to ensure you will never miss a sale! Should I choose a Free Hosting Plan? 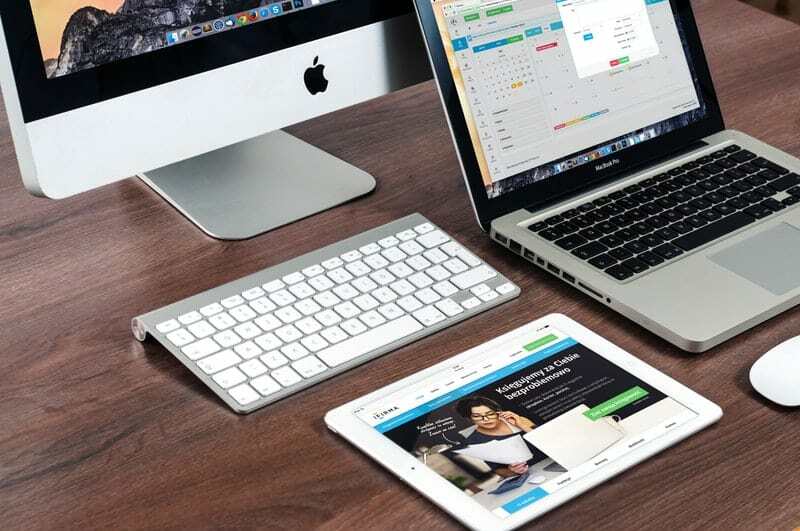 Free website hosting is hugely popular throughout the UK, but before you sign-up, it is important to understand whether it is the right solution for your needs. A free website will generally include limited bandwidth and storage, and typically the level of customisation for your site will be restricted to basic modifications. Your site may also include branding or advertising for the company providing the free hosting. In most cases, this type of hosting is best suited for personal websites. If you are looking to host a business website, we would strongly recommend opting for a cheap website host instead. As you will see from our list above, prices start from as little as a few pounds per month, but include plenty of inclusions to create a fast and customised website. And, there is no branding or advertising that will overshadow your business’s message. Whether you are starting your first website, or migrating your current website to a new hosting provider, it is important that you understand the laws and requirements for website owners. Another important aspect of owning a website is how you treat the data of your websites visitors. There are rules in place to ensure that website and business owners ensure information is kept secure, and users have a right to know what information is collected, how it is used and ability to opt out. Be sure to read up on the General Data Protection Regulation (GDRP). If you plan on selling goods online, you may want to take a look at the rules for distance selling. Failing to comply with these regulations can result in a fine, so be sure to read up! The UK Web Design Association has a useful post that highlights some of the responsibilities of running a website.